With only a day to go before the Spikes Asia Festival opens in Suntec City Singapore, the organisers have revealed that entries for 2016 creative competition were up from last years’ 4,351 to an impressive 5,132. This is a record for Spikes. The largest numbers of entries were for the Digital category which is an indication of how the ad business has changed in the last decade. The smallest number was for the Innovation category. Print and Publishing dropped from 256 last year to 186 this year. 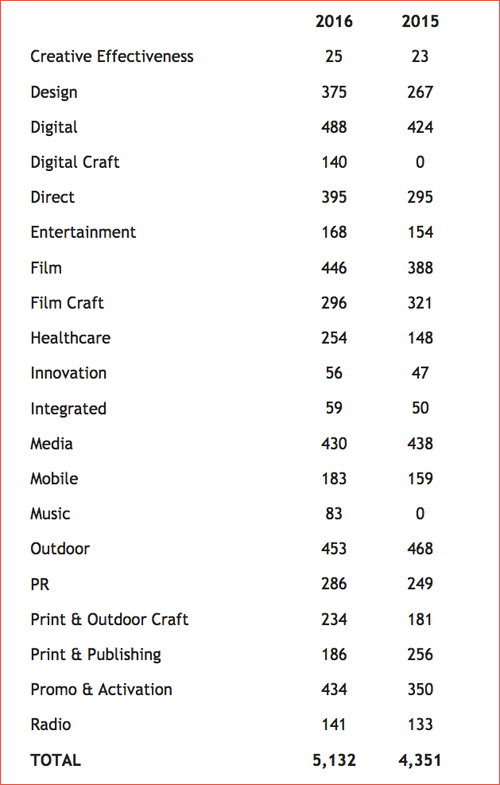 However, Print and Outdoor Craft category grew from 181 to 234. The number of entries for radio remains steady. The Film category grew but Film Craft declined in numbers, probably reflecting a move from the highly polished film TVCs to the less expensive digital media productions. Healthcare entries rose by 72%, Design by 40% and Direct by 34% . The winners will be announced on Friday 23rd September at the MasterCard Theatre at Marina Bay Sands.